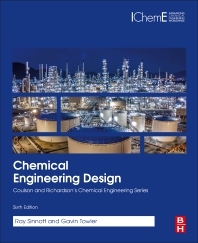 Chemical Engineering Design: SI Edition is one of the best-known and most widely used textbooks available for students of chemical engineering. The enduring hallmarks of this classic book are its scope and practical emphasis which make it particularly popular with instructors and students who appreciate its relevance and clarity. This new edition provides coverage of the latest aspects of process design, operations, safety, loss prevention, equipment selection, and much more, including updates on plant and equipment costs, regulations and technical standards. Gavin Towler is the Vice President and Chief Technology Officer of UOP LLC, a Honeywell company. UOP is a leading supplier of catalysts, process technology, proprietary equipment and services to the oil, gas and petrochemical industries. In this capacity he is responsible for delivering process, catalyst and equipment innovations for UOP’s four businesses. Gavin has 20 years of broad experience of process and product design and has 65 US patents. He is co-author of “Chemical Engineering Design”, a textbook on process design, and is an Adjunct Professor at Northwestern University, where he teaches the senior design classes. Gavin has a B.A. and M.Eng. in chemical engineering from Cambridge University and a Ph.D. from U.C. Berkeley. He is a Chartered Engineer and Fellow of the Institute of Chemical Engineers, and is a Fellow of the AIChE.